Our complete SYNC 3 retrofit kit contains genuine Ford parts, includes everything needed and comes pre-programmed. Please note, some of the pictures depict the kit with navigation - We offer this kit with and without factory navigation. 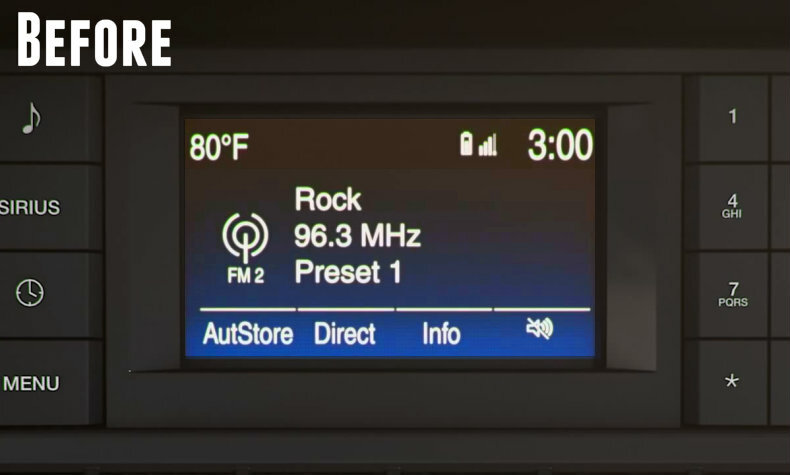 Don't have SiriusXM radio? See our kits HERE to add it! Genuine Ford voice activated SYNC 3 module. Genuine Ford Replacement radio bezel. Genuine Ford Screen to module cable. Genuine Ford USB Media Hub w/ Apple CarPlay and Android Auto Support. 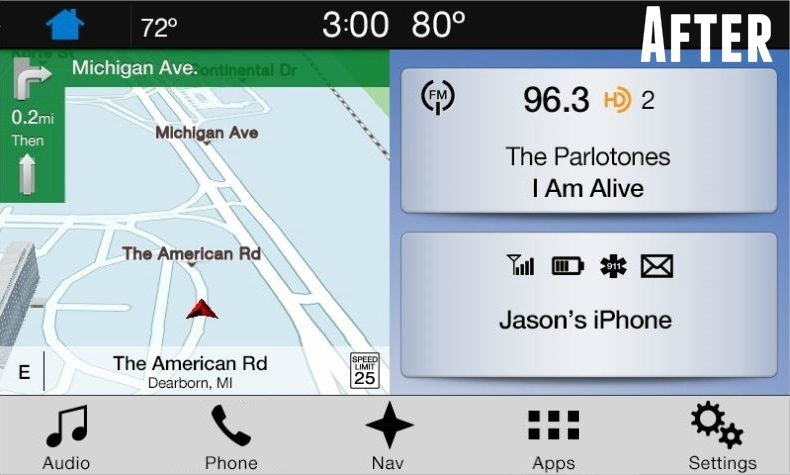 SiriusXM Travel Link requires a navigation equipped kit and your vehicle to be equipped with SiriusXM (factory equipped or with one of our SiriusXM kits). A – Yes, The hub install and connections are the same, just in a different location. The unit installed relatively easy, but the written instructions are not good. Watch the video. There was no instructions on how to connect navigation antenna. After install the unit has worked great and very nice upgrade.